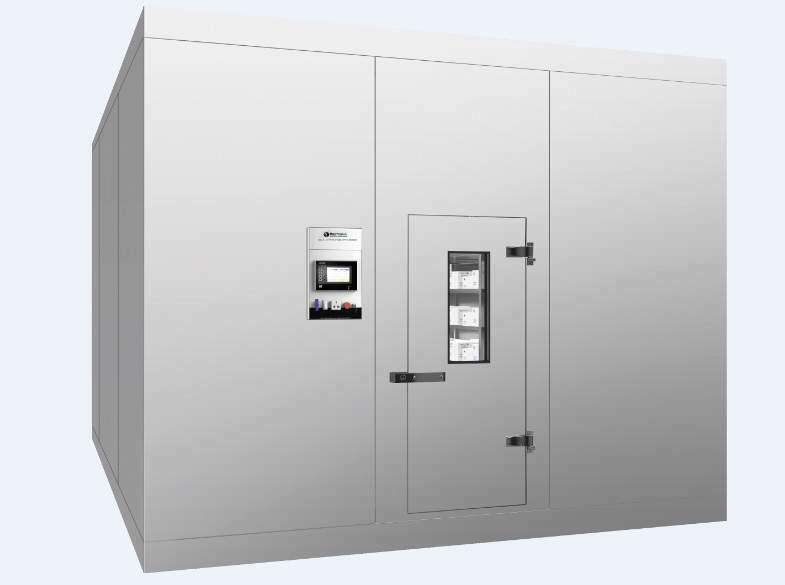 Stability rooms are specifically developed to meet FDA / ICH stability requirements, generating exceptional control and uniformity of both temperature and humidity. Our chambers feature automated process control, energy efficiency and a vast range of options and are the preferred choice for stability studies. Every Thermolab Scientific Chamber repeatedly produces required conditions, structural integrity that keeps the chamber working properly through years of demanding test cycles and measuring equipment’s that precisely records all test data. 65 mm Port Hole with a rubber seal to insert sensors for validation purpose.